Bought myself a new pair. 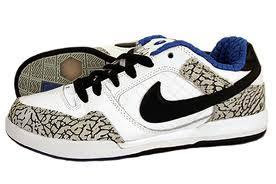 Nike Paul Rodriguez 2 premium. Ermm... nothing much.. just posting up here. Went for the blood donation event. At first i don't even know what is my blood type, but after checking i get know that i am the type 'O'. Well, kinda resembles me too. Always ready to give, but not much to be received in return. After knowing my blood type, was kinda glad because O blood is the best to be donated. But the feeling gone off pretty fast, because i was told that i can't donate because i just pierced my ear recently. This lead me to some thought. I start thinking that, even 1 simple and tiny stuff can make big changes. Just like 1 little hole over my ear can easily disable me from donating my blood. 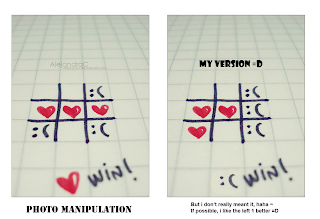 This is exactly similar to how the world works. 1 simple mistake can result in major failure. And all this simple mistakes are always so tiny, lots of people don't even realized it. What i've done over there ? Ermm... logistic... well, move this and that, patrol here and there. Nothing interesting about what i've done there. But, there are interesting stuff that i've saw. I know it sounds lame, but it is really my first time watching real professional player playing a dota match. And of course, the process is very interesting. 运曰 ; 我需要 MOM 一个 ! 我更要为自己加把劲 ! 林宜运, 加油啊 ~! 还是 CC 厉害, RM300 一枝羽毛球拍.... 不过确实是很有手感的一枝好拍. CC 也拖着 Cammie. Gay Seng 也有 June. 我和 Nard 嘛... 自己牵自己, 自己抱自己... 不同的是, 我和他的感触不一样, 哈哈. 此刻心情如何 ? 如果尽写, 又是长篇大论了. 所以免了. A : 超级大大大美女, 感情不错, 时常要这个要那个, 比较自我中心, 娇生惯养, 任性. B: 样子OK, 感情好, 凡事量力而为, 分担分享将心比心, 简简单单, 会撒娇但不任性. 但是只要彼此能够一起分担, 一起分享, 包容体谅. 一起为自己想要的努力, 我想就足够了. C : 只要感觉对了, 能够将心比心, 踏实点, 就刚刚好了. My life is full... yea, i meant it. I have families, friends, i have my life. I have classes to attend, activities to join with, fun to have with. And i so gonna tell myself, i should be satisfy with what i have. Penang ? 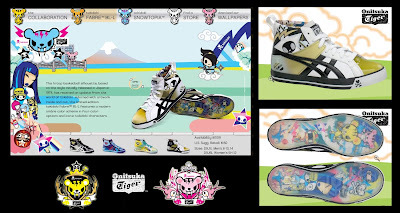 uo uow ~ ; Onitsuka Tiger ! Ok, is certified that i am lazy to update my blog with what we have done in Penang. Photo uploading and managing are so much more troublesome than plain typing, haha. But you guys or girls can check-up our facebook, you should be able to grasp an idea on what we have done. Eating was fun and SATISFYING over there ! Every meal is like a war for us, we ate like we never ate before, haha ! We stayed in an apartment named Stallions, kinda cool. But we won't know, not until we start composing and editing. I am still worry about the audio... but nah, just hope it can goes well. But shooting at the orphanage house is just plain FUN ! 还有就是吃吃吃, 被誉名为美食天堂的槟城, 当然要吃得够, 对不对 ?